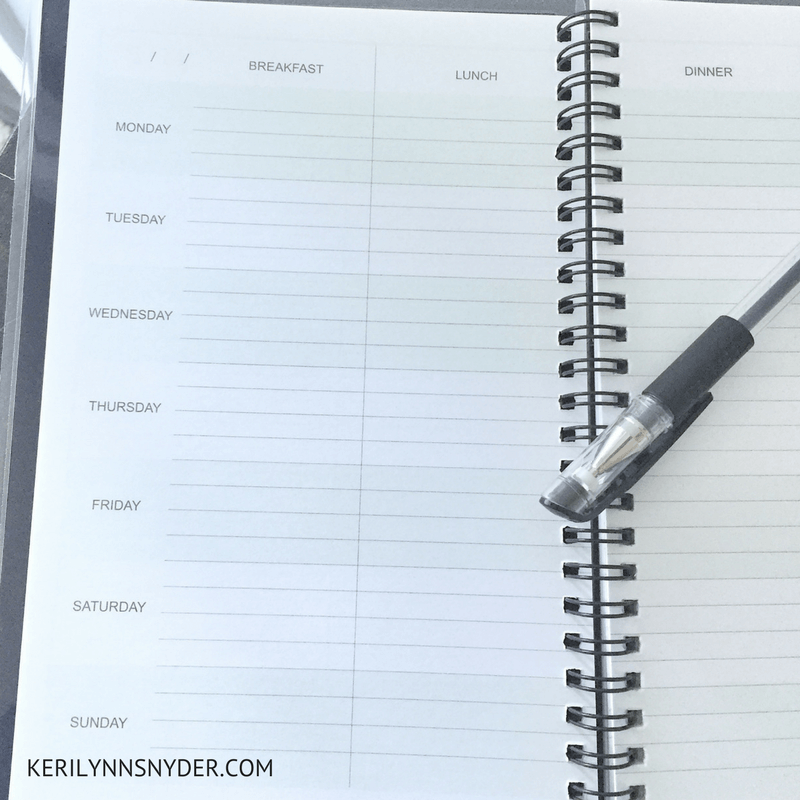 The more I work on meal planning, the more I am learning little tips to help the process. 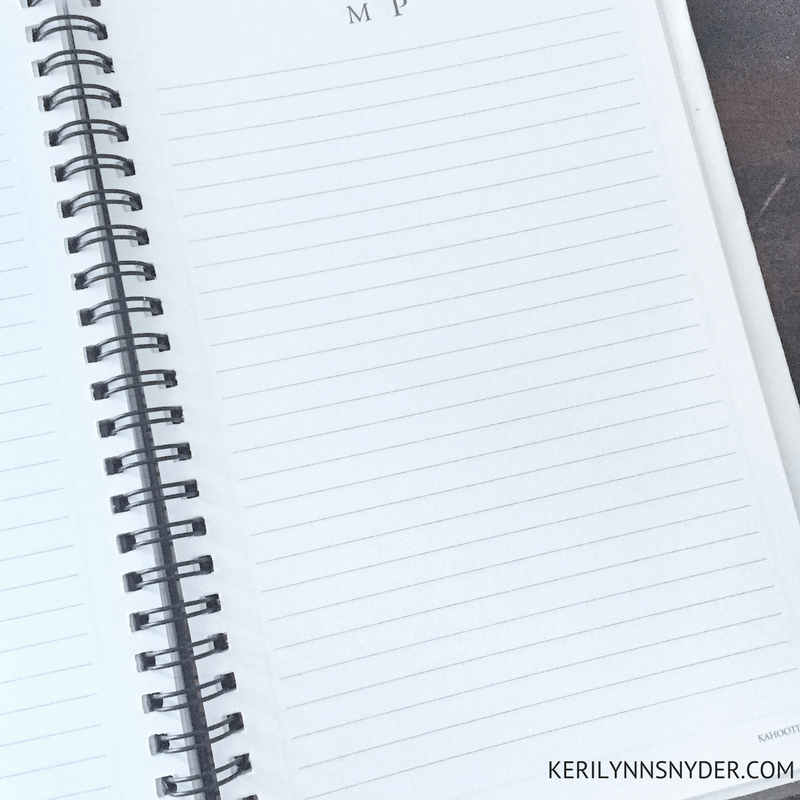 Yesterday, I sat down and focused on my meal planning for the week. This has become a weekly routine for me. It is amazing how making a plan and writing it down can make such a difference. 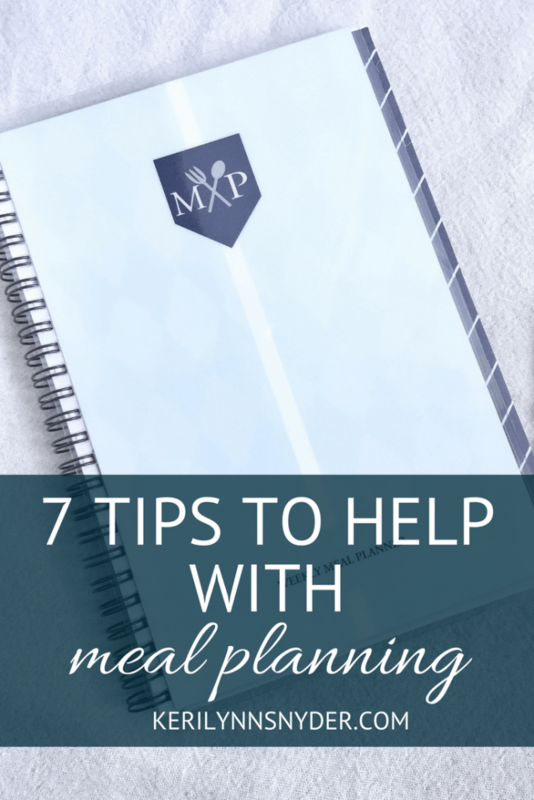 Today, I wanted to share 7 meal planning tips with you to help you wherever you may be in your meal planning process. If I do not write things down, i will forget them. Even if I have purchased the supplies to make tacos, it can be easy to forget that I had the idea to make the tacos. Lately, I have been using a meal planner from Kahootie and am loving it. It has been so helpful to have everything in one place. One thing I have been realizing is that I need to sit down and make the plans. Many times I can have all of these ideas, but that is all they are ever going to be unless I put things into action. Part of why I really love is that the planner is just for meal planning. So I can look back at previous weeks and remember good meal ideas. Sometimes it can be hard to come up with ideas for meals. However, one simple way to beat this has been to do theme nights. Most of the time we do pizza on Fridays. Then I mix in a Mexican and Italian night. Other ideas could be soup and Sandwich, crockpot, etc. Does anyone else have a Pinterest board full of untried recipes? A few months ago, I decided to start trying one new recipe at least every other week. This has helped me to dig into that Pinterest board of recipes. Plus, it is fun when you find a new favorite! Mamas, be mindful of what season of life you are in. You do not need to make all the side dishes or anything fancy. Most of the time we have a main dish with a salad as the side. The crockpot can be your best friend- use it! It can be hard to remember all fo the favorite meals. I love using the back of my meal planner to list out my favorites. There is just a section of lined pages that are perfect to list out favorites or even reminders of special recipes for special occasions. Prepare food ahead of time. Whenever I take the time to prep lunches or dinners, I am reminded about how helpful it is. It really does not take a ton of time and saves so much time. I really love these videos for helping with meal prep. Whenever I make my meal plan, I like to go back and put a star by the meals I plan to prep ahead so I remember. Just because you make a meal plan, does not mean that you have to follow it no matter what. There may be days where you realize it would be easier to switch the meals around go for it! The meal plan is to give you some ideas and help you be prepared. What about you? Do you have any meal planning tips to add to the list? Thank you Kahootie for sending me the planner to review. As always all opinions are my own. I really need to work on keeping track of favorites! Everytime I sit down to meal plan, my mind goes blank!! Oh I like the idea of a new Pinterest Recipe night. I am going to try that next weekend. Thanks for the idea Keri! It does make such a difference! As hard as it can be! These are great! We love having theme nights, makes it so much easier! Yes, I agree it is a lifesaver!